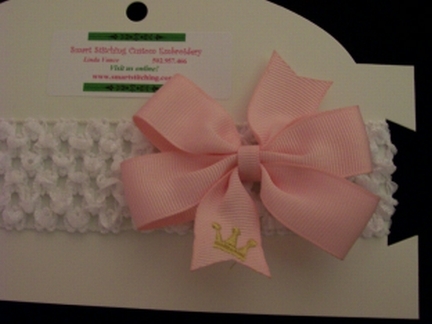 Your little Princess will love wearing this handmade bow with embroidered Princess Crown! Bow is made of grosgrain ribbon with heat-sealed ends and has a lined alligator clip for that Boutique look! Add a crochet headband (sold separately) for your infant or toddler whose hair is too fine for bows! They will love them!